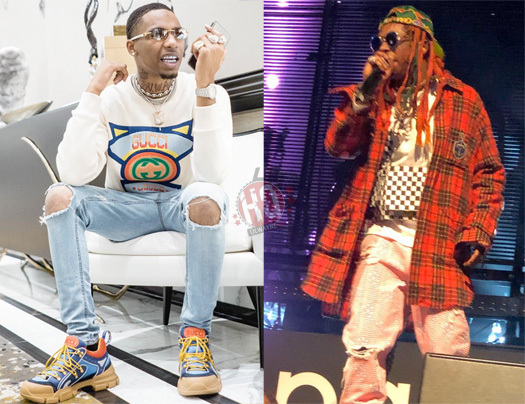 Key Glock recently took to social media to film himself listening to Lil Wayne‘s “Ride For My Niggas” aka “Sky Is The Limit” song off Da Drought 3. 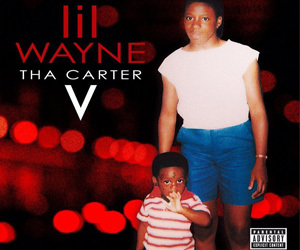 While rapping along to the classic freestyle, which you can check out below, the Memphis rapper also called Weezy his “favorite rapper”. Would you like to see a collaboration from the Glock and Tunechi in the future? LeBron James recently took to social media to show himself listening to Lil Wayne‘s Da Drought 3 mixtape in his car. In the clip, which you can check out below, the professional NBA player can be seen bumping Weezy‘s “Get High, Screw The World” song and rapping along to it. This is not the first time that Bron has done this, because in 2018 he was spotted jamming out to Tunechi and Kendrick Lamar‘s “Mona Lisa” collaboration, as well as playing old Tune songs while getting tipsy off wine! 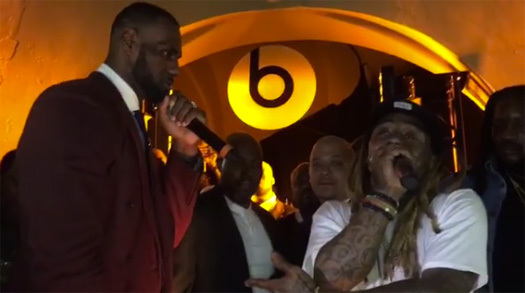 Not long after Lil Wayne released his Tha Carter V album, LeBron James took to social media to film himself jamming out to his favorite song off the project – “Mona Lisa” featuring Kendrick Lamar. You can check out clips of these two things after the jump below. Shout out to Bron for putting that reporter in his place! 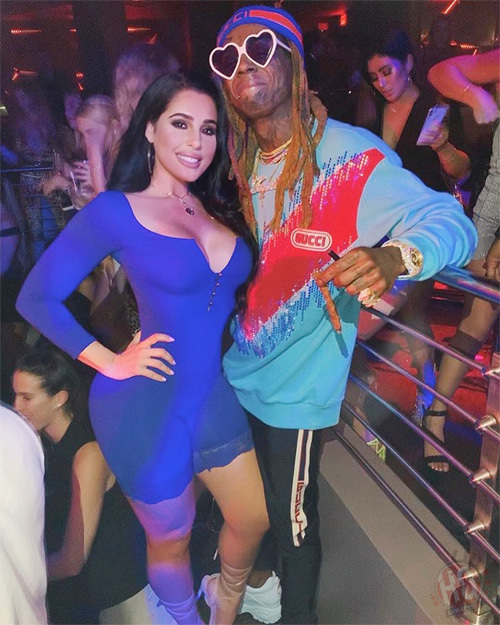 On Halloween (October 31st), Lil Wayne hosted a Tha Carter V edition costume party at Mokai Lounge in Miami, Florida. 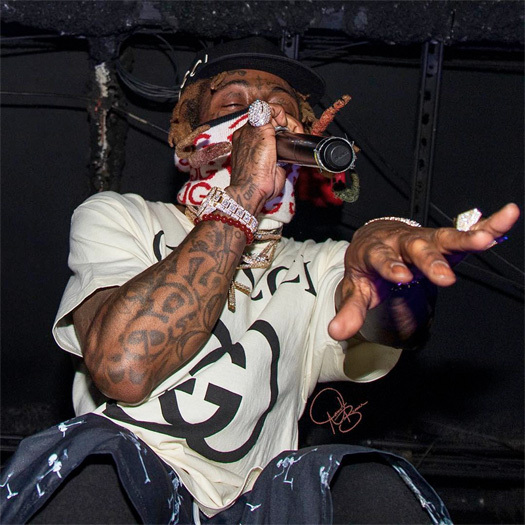 While at the event dressed up as “Gucci Mane”, Weezy jammed out in VIP to songs like “ZEZE” by Kodak Black and “Taste” by Tyga, as well as his own tracks “Triggaman” off Lil Weezy Ana Vol. 1 and “Open Safe” off C5. 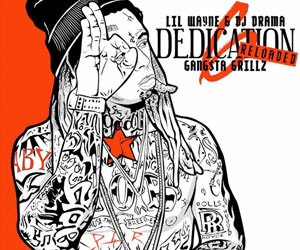 Tunechi also got on the mic to perform “Uproar“, “A Milli” and “Steady Mobbin’” live for everyone in attendance. You can check out some footage of Tune from his Halloween party in the clips after the jump below! LeBron James took to his Instagram Story in the week to show himself drinking expensive bottles of red wine while jamming out to old Lil Wayne songs. Looking a bit tipsy, LeBron can be seen listening and rapping along to Tunechi‘s verses off Big Tymers’ “Millionaire Dream” and “Tear It Up“, as well as Tune‘s own “I Miss My Dawgs“. You can check out the professional basketball player drinking wine and jamming out to old Weezy music on social media after the jump below!